The high-pressure SUP pump has a pressure capacity of up to 15 PSI and a large pressure gauge for accurate inflation. It is equipped with a standard H3 valve that is used on all Solstice inflatable paddleboards and is also used by most SUP manufacturers making it an almost universal pump. 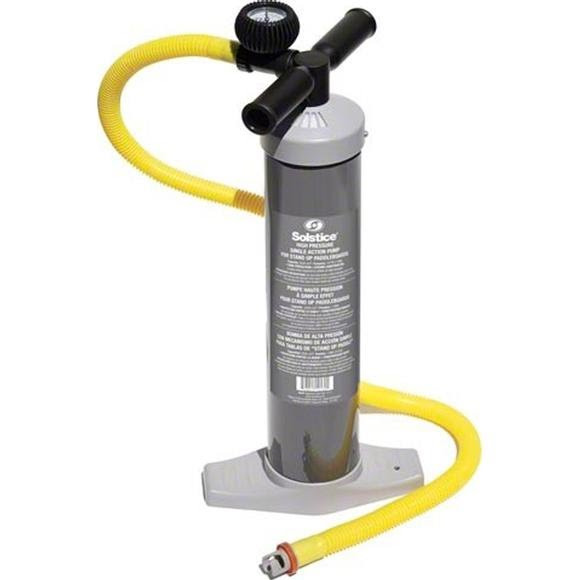 This single-action pump is built to last with its durable construction and materials. Dimensions 21.25" x 9.50" x 9.00"